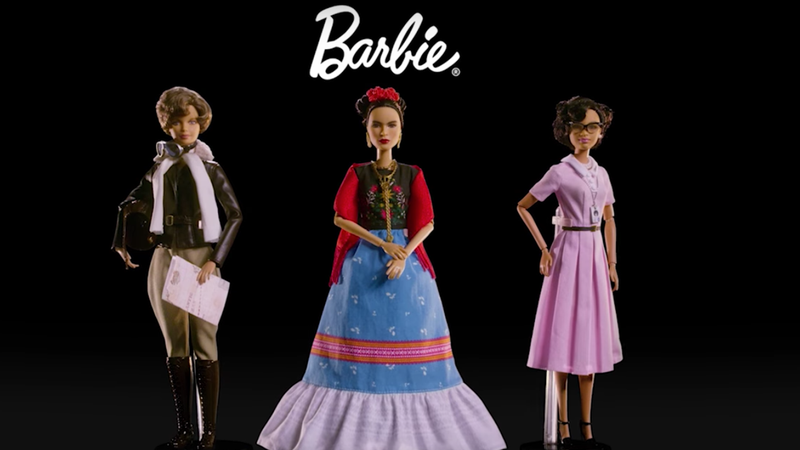 Frida Kahlo–artist who fucked conventions and carved a revolutionary existence of sexual liberation and radical politics out of torment and critical thought–has been honored by Mattel as an “Inspiring Woman™” with a namesake Barbie, available for $29.99. Salma Hayek, who played Kahlo in her 2002 biopic, is not having this. Kahlo’s great-grandniece told the BBC that she would at least like to see a redesign. People are generally irked that they shaved her eyebrows. The rest are also Barbies.